Come out of your bunker, George! Laugh? I almost spunked myself, when I read George Osborne’s hilarious piece in the Guardian yesterday. 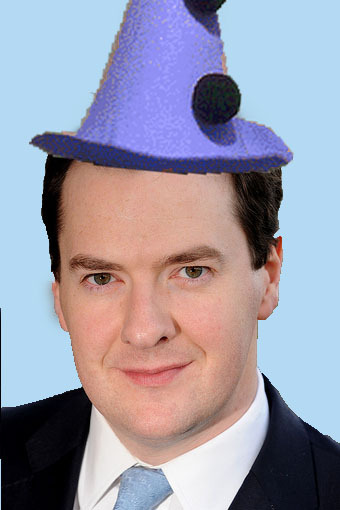 Isn’t it funny that Osborne is suddenly comparing Britain to the US economy? I thought he only ever compared us to Portugal and Greece: Two countries that are in the Euro and therefore unable to devalue on the foreign exchange. The odd thing is, he never offered the “Euro qualification” when he compared us to Portugal and Greece and even Ireland. Everyone else always did. The Euro economies are in a fundamentally different circumstance and are not comparable to the British economy. So he makes himself look foolish for producing this argument now, only a couple of days after the Office for National Statistics redefined downwards the shrinking of the British economy in the fourth quarter of 2010. He is clutching at straws to justify his failed policy. One has to wonder what is happening behind the scenes. Is he receiving “Plan B” advice from all and sundry? Has best mate Dave been slow to answer his calls of late? Perhaps Ken Clarke was caught wandering about in George’s office with a tape measure, as if considering a furniture move? Whatever his motives, he couldn’t possibly have believed that his lonely argument was likely to change his lonely predicament.